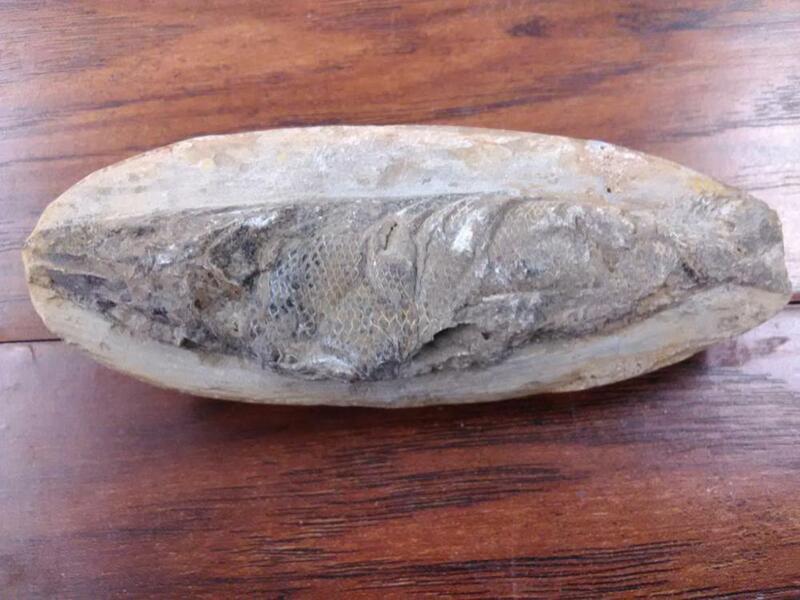 Fish fossils are a good indicator of what type of species lived at that geologic time period. Many fish drom worldwide localities have been fossilized and the environment they lived in. Such as the ocean and inland seas and lakes. Fish first appear on the planet at the begging of the devonian period (Some 400 MYA). They are one of the first vertebrate animals to populate our planet and are still with us today. *This item also comes with an information card.